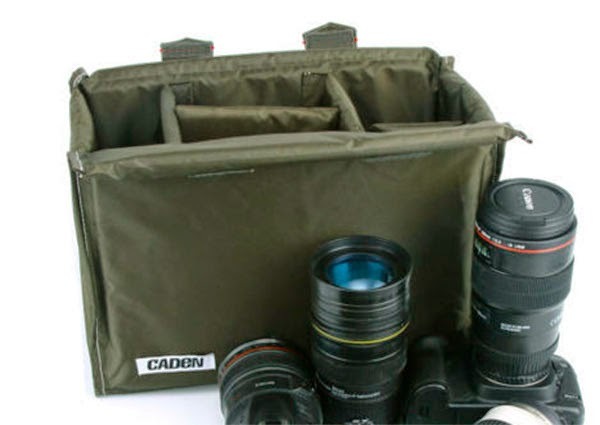 I ran across these messenger style bags on eBay and thought they could work nicely as camera bags with the right divider insert. 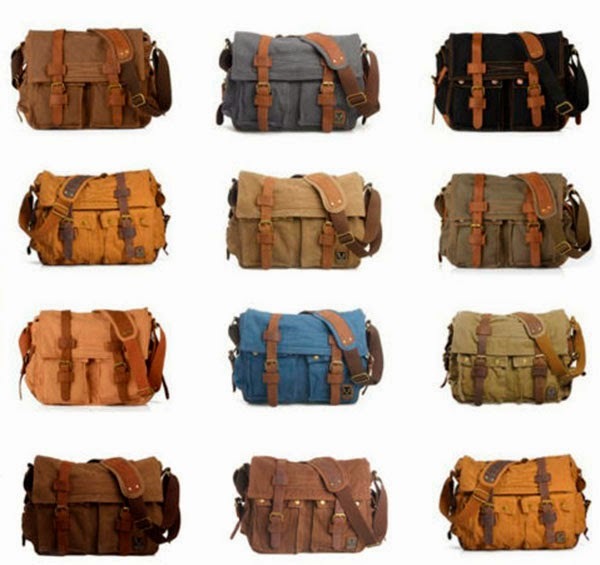 The bags are made of canvas and leather and come in large variety of colors including Coffee, Kakhi, Black, Army Green, Brown, Blue, Gray, and several other variations. This bag can be found on eBay here for $24.50. The bags are made in China and are sold through many different distributors. Check out some of the links that accompany the bags on eBay for variations in price, delivery time, and colors. Prices vary from $24-32 dollars so shop around. The bags are have only one side, zippered pocket inside so to make them suitable as camera bags an insert divider needs to be added. I found several of these also on eBay. This insert can be found here for $14.49. This insert can be found here for $18.38.. The insert sizes don't have to be a perfect fit, since most of them are malleable. You might even want a smaller insert to leave space in the bag for other incidentals. 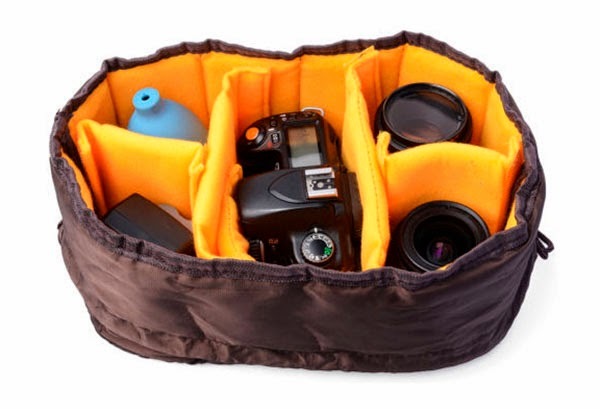 There is a large variety of inserts available on eBay so you might want to do a search on "camera bag insert" to find the one that suits you best. 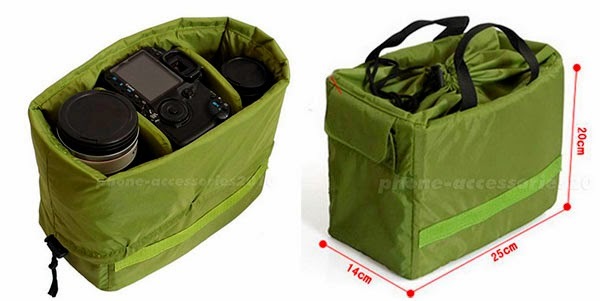 You could even acquire several different models to fit different camera outfits, or even remove the insert to use the bag as a simple shoulder bag. Thanks Tom. Oh, my spouse thanks you as well. (insert sarcasm here) This bag, which I just ordered now makes #16. Hmmm...interesting. I didn't know that. 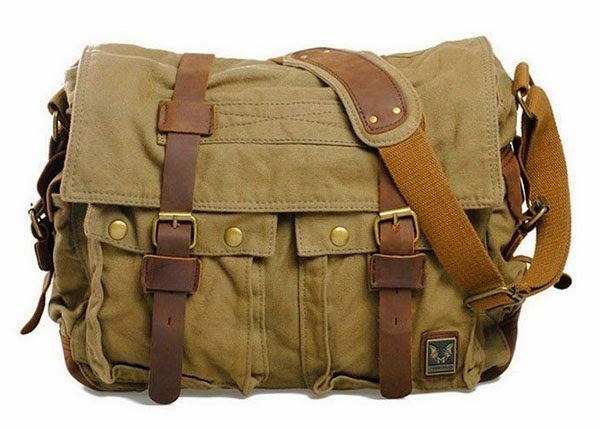 I hadn't heard of Belstaff, but when I just went to do an internet search for their bag I couldn't find it on their site. Is it possible they don't make it anymore?